Jessica Nicholas is a PhD Candidate in the Department of French and Italian. Specializing in French Linguistics with a concentration in Romance Linguistics, she has a particular interest in language ideologies, variation, and education. In the past few years, the Greek island of Lesbos has been featured in the international news as a frequent first stop on the path to Europe for refugees fleeing war in the Middle East and North Africa. 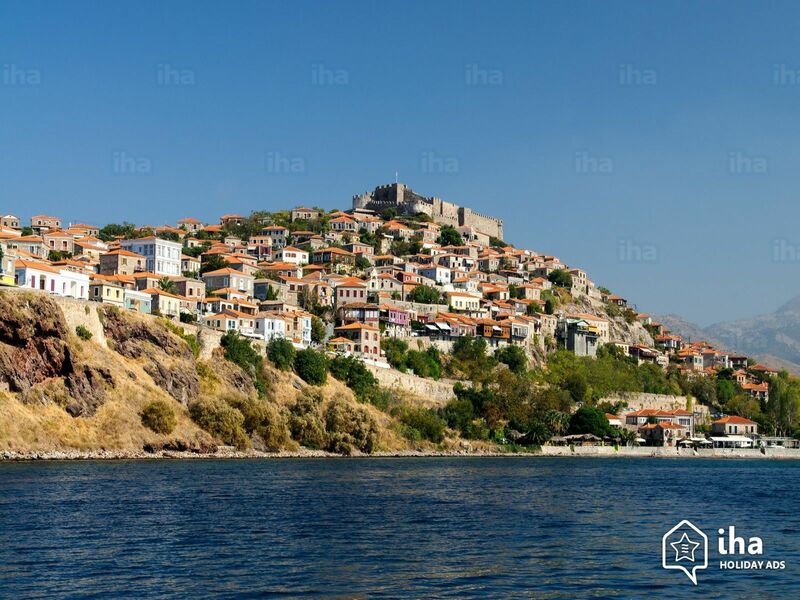 Lesbos (also spelled Lesvos) is an island in the eastern Mediterranean Sea, only six miles from the Turkish mainland. 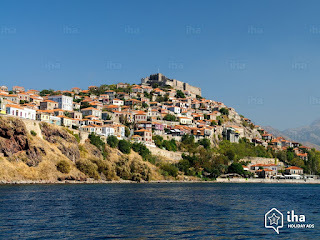 Now a part of Greece, Lesbos has been continuously inhabited for thousands of years, with ruins dating from as long ago as 3200 BCE. Due to its location, it changed hands many times between kingdoms and empires of the Mediterranean, most recently the Ottoman Empire and finally Greece (Mavridis, 2016). This means that the island was routinely multilingual and religiously diverse, at least until the 1920’s and the later language reforms of the 1970’s. Once again, Lesbos is now a center of population movement for people speaking different languages and practicing different religions. Lesbos has become a symbol of the refugee crisis in Europe, labeled “An Island of Refugees” and receiving a visit by Pope Francis (Miglierini, 2016; Niarchos, 2015). The current population of Lesbos is a little more than 90,000 people, while it has already hosted over 90,000 refugees arriving by sea in the first half of 2016 alone (Amin, 2016; Mavridis, 2016; UNHCR, 2016). Residents of the island were even nominated for the Nobel Peace Prize because of their efforts to rescue and care for refugees arriving on their shores, even when doing so was forbidden by law (Amin, 2016; Kingsley, 2015). Although the linguistic element is not discussed in the popular press, the refugee crisis necessarily forces languages, religions, and cultures into contact with one another. In March of 2016, the European Union signed an agreement with Turkey wherein Turkey would take back asylum seekers who arrived in Greece. For each Syrian refugee deported to Turkey, the EU promised to welcome a Syrian refugee from a camp in Turkey (Kingsley, 2016). A very controversial plan, since these deportations from Lesbos began in April, the new procedure has not always been adequately communicated to the people would who be affected by it (Ap, Tuysuz, McLaughlin, & Hume, 2016; Kingsley & Smith, 2016). Confusion and frustration about the deal have led to unrest that has at times become violent (Alkousaa et al., 2016; Smith & Kingsley, 2016). One reason for this lack of communication is a lack of staff and funding, while another consideration is that the migrants and the locals of Lesbos do not necessarily speak the same languages. Many Syrian refugees are highly educated and multilingual, but Syrians are most likely to speak Arabic as a mother tongue, while Greeks (including those who live in Lesbos) are most likely to speak Greek (Alkousaa et al., 2016). Therefore, volunteers and aid workers have to contend with a potential language barrier while addressing the complicated legal and human rights situation. This current population exchange between Greece and Turkey occurs in an odd parallel with another population exchange between the two countries nearly a century ago. At the beginning of the 20th century, approximately half the population of Lesbos was Muslim. Most of these residents spoke Turkish, and there was even a village on the island that was monolingual in Turkish. In what is now Greece, Turkish was the most common language associated with the day-to-day tasks of Muslims (Popovic, 1986). Classical Arabic, of course, was the language of religious practice. In 1923, following the Greco-Turkish War, the new government of Turkey signed an agreement with Greece in Lausanne, Switzerland, which required that Orthodox Christians be deported from Turkey to Greece, while Muslims would be deported from Greece to Turkey (Popovic, 1986). This strategy did not take into account the cultural or linguistic backgrounds of the people affected by moving to a new country, as religious affiliation was seen to be the most important identity (Cooper, 2006). Although it is uncertain how many people from Lesbos were involved in the compulsory population exchange of 1923, an estimated 60% of the current population of the island are descendants of the Greek Orthodox Christians who were deported from Turkey during that time (Amin, 2016; Popovic, 1986). In a distressing repetition of the religious tensions of the 1920s, untrue rumors have circulated on social media that Muslim refugees vandalized Christian churches (Kingsley, 2015). 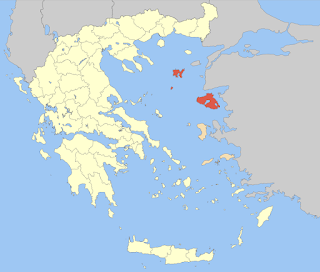 Although both the Greek and Turkish languages are protected in other Council of Europe member states under the European Charter for Regional or Minority Languages, Greece has not signed the Charter (Council of Europe, 2015). Therefore, the government is not required to support speakers of other languages apart from Greek, including heritage speakers of Turkish or Arabic with ancestral ties to the land. Twice in one century, half of the people in Lesbos have been Muslims who spoke another language, and twice in one century, they have been sent to Turkey. Popovic, A. (1986). L’Islam Balkanique: Les musulmans du sud-est européen dans la période post-ottomane.